KTS Oil services Ltd are committed to quality and development. We set high expectations for ourselves in order to improve our performances. 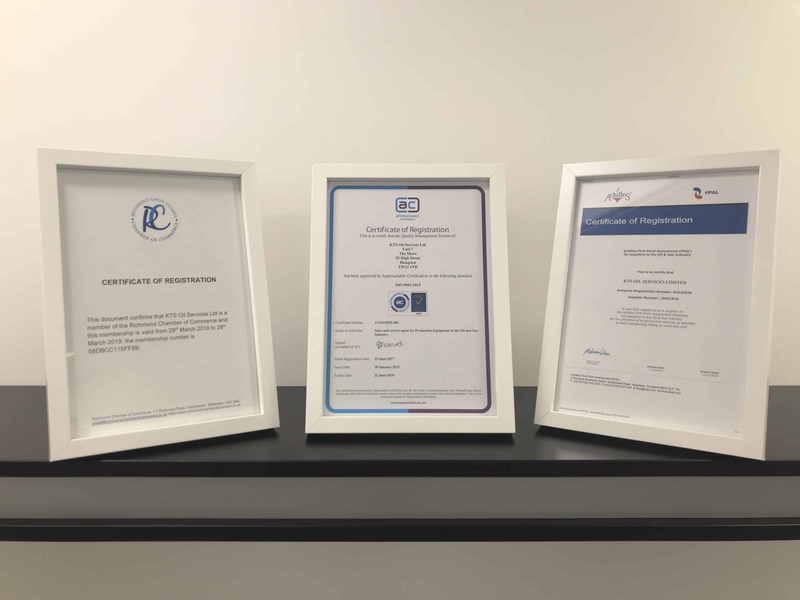 KTS are ISO 9001:2015 Certified and we follow the ISO guidelines to ensure that top quality services and products are delivered to our customers. KTS also hold an Achilles FPAL accreditation. KTS cooperate with an independent Italian Company specialised in inspection and expediting activities. These activities can be offered as a separate service to our clients.